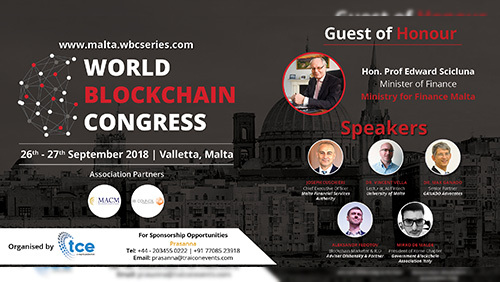 We TraiCon Events will be hosting The World Blockchain Congress Malta which will be held at the Hotel Hilton in Valletta, Malta on the 26th & 27th September 2018. 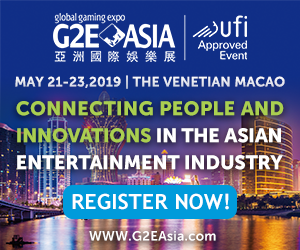 This forum will be attended by over Top 250 Participants, Key Stakeholders and Blockchain enthusiast from across the Globe. The World Blockchain Congress Malta 2018 will be inaugurated by Hon. Prof Edward Scicluna, Minister of Finance Malta ensuring the objective is met collectively. 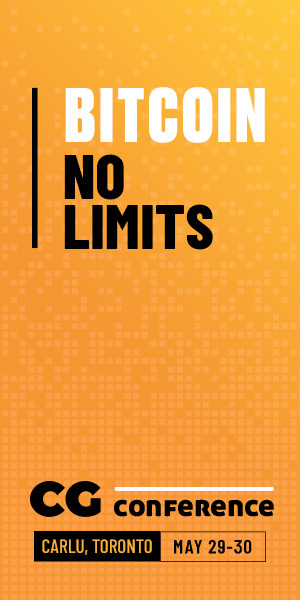 The World Blockchain Congress Malta 2018 will be held under the theme “Reshaping Digital Businesses by Disrupting and Transforming the World of Money, Business, and Society” and would be featuring a host of very interesting case study presentations from global experts such as Joseph Cuschieri CEO – Malta Financial Services Authority, Mirko De Malde – President of Rome Chapter Government Blockchain Association Italy, Aleksandr Fedotov – Blockchain Marketer & ICO Adviser at Olshansky & Partner, Dr Max Ganado – Senior Partner GANADO Advocates, amongst many others. Malta has witnessed an exponential worldwide interest from exchanges seeking to relocate to Malta and issuers of ICOs wishing to launch from Malta. The proposed bills issued by the governments looks at strengthening Malta’s position on the DLT front and solidify its reputation as a “Blockchain Island”. According to the reports by the local media it has been stated that the Cabinet of Malta has approved the Virtual Financial Assets Bill that provides the regulatory framework for cryptocurrencies and initial coin offerings. The other two bills were the Malta Digital Innovation Authority Bill and the Technology Arrangements and Services Bill. Many Global Blockchain Technology Providers would be participating in the World Blockchain Congress Malta 2018 as Sponsor and Exhibitors who will be showcasing their host of Blockchain Solutions. We at TraiCon Events would like to take this opportunity to thank all our Supporting Partners, Speakers, Sponsors, Associations, and Media Partners & Participants for supporting the World Blockchain Congress – Bahrain 2018 and ensuring that we together will be able to successfully host the World Blockchain Congress – Bahrain 2018.